You are here: Home / Hotmail / How to Delete Hotmail Account 2019? Are you sure want to Delete Hotmail Account? When you delete Hotmail account, you can’t access Hotmail email and will lose all data and access associated with that account. In addition to that, you will lose all your subscriptions, files, and photos on OneDrive, Purchased items on Xbox, emails in Hotmail.com and more. So be careful before deleting Hotmail account. 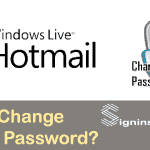 But if you still want to close Hotmail email account then follow the steps below. Step 1: First of all go to Close your Hotmail Account page. 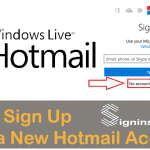 Step 2: If you are not already signed in then sign into Hotmail account and verify your Hotmail email account. (You may get a page asking you to set up app then click ‘No thanks‘). Step 3: Next page will ask you to make sure your Hotmail account is ready to close. 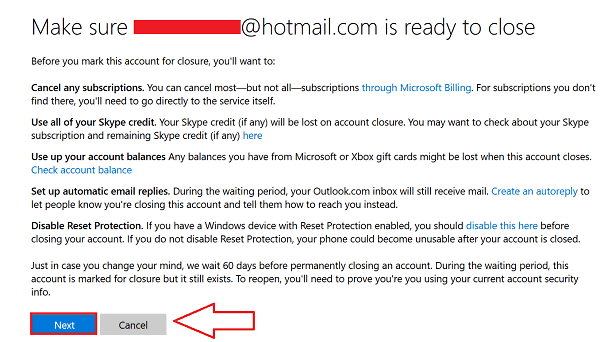 (Please read all the points carefully) And click ‘Next‘ if you want to deactivate Hotmail account. Step 4: Mark all the options and select the reason why you want to delete Hotmail email account and click ‘Mark account for closure‘. Step 5: As a result, you will get the message displaying the final date of your Hotmail deactivation. Click ‘Done‘ and your account will be deleted after 60 days. 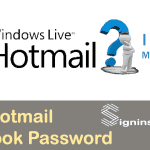 Step 1: At first visit Microsoft Account management page and sign in with Hotmail account. Step 2: Then click on ‘Security and privacy‘ and Click on ‘More security setting‘ under ‘Account security heading‘. Step 3: Microsoft will ask to enter your password and verify it’s actually you. Follow the instructions. Step 4: In ‘Security Settings’ page scroll down to the bottom and click ‘Close my account‘. Step 5: You’ll be asked to verify your account. Verify it. Step 6: Read all the points carefully and click ‘Next‘. Step 7: Click all the checkbox and select why you want to Close Hotmail account. Step 8: Finally click ‘Mark account for closure‘. If you change your decision, then you can cancel the Hotmail termination process and reactivate it. After deleting your account, you can sign up for a new Hotmail account. If you change your mind after this process you can reactivate your account by signing into your Hotmail account within 60 days of deactivation. Furthermore, in the same way, you can delete Hotmail Live, MSN Hotmail, Outlook accounts permanently. 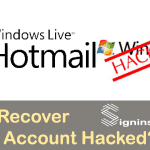 How to Recover Hacked Hotmail Account? I think someone has hacked my hotmail account. How can i delete that account? Please follow the above step by step procedure to delete your Hotmail account. You can comment here if you get trouble in any step to delete Hotmail email. I have the same problem and have lost access to the hacker. How do I report this to hotmail to suspend the account for investigation ? Please contact Microsoft Support and report them about the email address. I deleted my hotmail account, but i want some contact from it. How can i get it back? You can recovery your Hotmail within 60 days of termination. If it’s not been 60 days, login to your Hotmail account and with one security verification you will get back your Hotmail account. But if it’s been 60 days after you deleted Hotmail then you can not get back your account, though you can talk with Microsoft support.